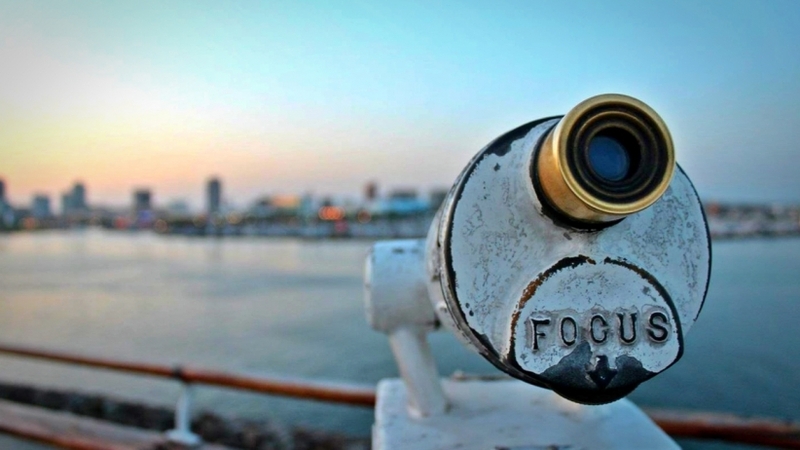 Focusing is the capacity to be centered on the present and cognizant of our thoughts, actions, inner sensations and environment (conventional focus is made up of two experiences: subjective and objective). It is an essential ability, since whatever we spend most of the time thinking about (consciously and unconsciously), will become our reality. If we focus on miserable and anxious thoughts, we will live a miserable and anxious existence. If we attempt to do everything and satisfy everyone at once, we will have a ruptured, unfulfilled and fruitless life. If we spend our life focusing on the present, we won’t have the time or the energy to worry about the future and regret the past. The obverse side of the coin is the subjective experience. Just by spending a few seconds in a state of inner absorption, focused awareness and fixated attention one will get the sense of meditation. If we were to extend such period of “meditation,” it will not take long for us to bypass the critical factor of the mind, and enter a state commonly known as the “flow”. The reverse side of the coin is the objective aspect. In order to maintain control over your surroundings, one must first eliminate clutter and cyber-distractions. This can be achieved by maintaining a clean space and closing unnecessary programs on your computer, turning off your phone, television, email, social media and anything else that may hinder your focus. Next, create a task list and stick to it! When you are attempting to focus, do everything within your power to control your environment. A way that we can maintain dominion, over our attention, is by being grateful, and focusing on the “positive” of the now. The constant practice of gratefulness and optimism allows us to reduce our stress, increase productivity, and have a significantly greater indulgence of life. Furthermore, this practice enables one to eliminate anxiety (phobia of the future), guilt (phobia of the past), and depression (phobia of the present). Simply follow the advice that Nike gave in their 1988 marketing campaign: “Just Do It.” Don’t doubt, don’t fret, don’t hesitate, and don’t question it. Just do it. These aforementioned techniques are very easy to implement into your daily life, and can have immediate benefits. To experience deliberate focus I have created this simple exercise, that’s a variation of the Pomodoro Time Management Technique. By following each of these steps, you will find yourself in the “flow”, in a short amount of time. Just as enjoying a vacation, working on a worthwhile goal will lead you to be in the “flow,” and find happiness. Choose a goal/activity that inspires you. This activity must be motivating, yet challenging. It’s recommended that it’s an activity that takes a couple hours, so that a satisfaction of self-achievement is reached. Time Dedication. Once you have chosen a goal, set your timer for a time frame of 30 minutes. Fractionalizing time and action allows you to increase your focus exponentially. During those 30 minutes devote yourself entirely into that action. Enjoy the moment. During this time, repeatedly ask yourself the following question: What is fascinating about this? Get into the “flow”. This may happen immediately or within a couple of minutes. Get in touch with your creative side. Ask yourself the following questions. Where in my body do I feel this focus? (It could be anywhere, your head, heart, etc. Go with the first thing that comes into your mind –don’t question it). What color is it? (Again, go with the first color that comes into your mind. If you do not see a color, just imagine your favorite hue). Reward Yourself. At the end of the 30 minutes give yourself a 10 minute break. You can go for a walk; check your phone, internet, or social media pages; or whatever other guilty pleasures you may have. Feel the awareness in the place where you felt it before. At the same time bring back the color. …repeat the process until you have completed the tasks to its conclusion. As you keep on practicing this exercise you will notice how your focus and awareness will become automatic (or almost). If you have any questions you can reach me at ricardo@bonhommeconsulting.com.